But,you should make a photo-size to no more than 1000KB(1MB). please click the button illustrated in the below chart. This shows a bottom of the BBS. Then you get the below page. 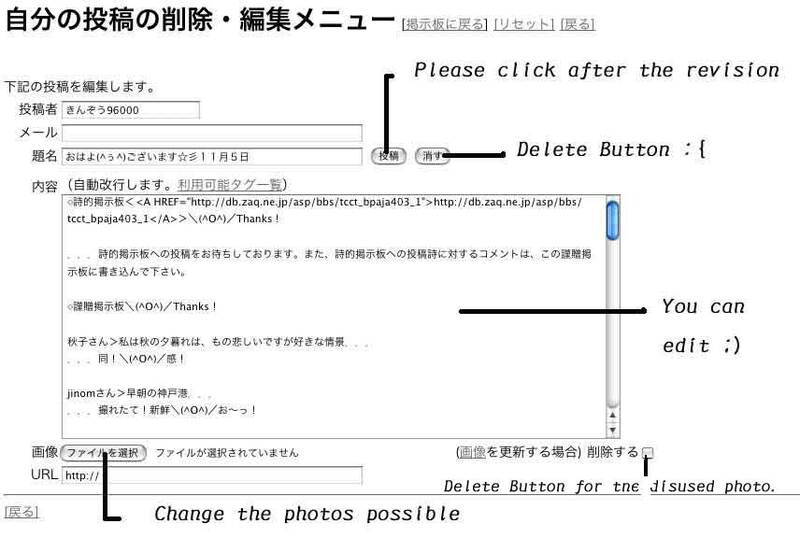 Then you can revise your comment and photo according the below chart.